The benefits of sea salt are amazing and adding a pinch here and a dash there can make positive changes in our health. Salt is extremely important as we need this mineral in our systems to survive and maintain health. Without it we would die. As more research is being done it is becoming quite apparent that it makes a difference of what kind of salt we put into our bodies. Most of us are familiar with regular white table salt, but how does that compare to the benefits of sea salt or better put, unprocessed salt? There are several different types of salts that are available to us, so before we place that shaker on the dining room table perhaps we should give them a quick overview. When any foods are processed their nutritional benefits are destroyed and by no means is salt immune. High heats are used when processing table salt killing all that is good out of it. The end result is sodium chloride with no beneficial trace elements left in it. Also during the processing some other ingredients may be added, such as aluminum, sugar and iodine. Though iodine is something our bodies need we must be careful not to overdo it. Eating too much iodine can cause certain thyroid disorders. Yes, this salt comes from the sea, but buyer beware, as some brands are left in their natural state while other brands are processed just like our table salt is. 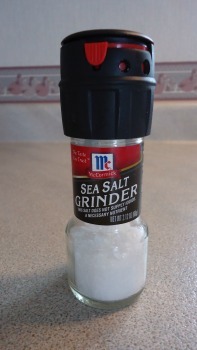 Reading labels can be helpful and unaltered sea salt is usually a little moist. If there is not enough information listed on the product label then there is usually a company website address listed where you can go online to get more product information. Pure and unaltered sea salts are healthier because they help avoid the health problems that may be brought on by table salt. Since 1976 this company prides themselves in making a quality salt. It is unprocessed and packed full of essential minerals. The salt is not processed or altered in any way and there are no additives, leaving this salt in its natural state. As their website proudly states that their product is doctor recommended. The salt is harvested from the Atlantic seawaters off the coast of Brittany, France. Special care is taken when harvesting takes place. The product is naturally air and sun dried in ponds and harvested with wooden rakes to preserve enzymes, minerals and trace elements. No chemicals or preservatives are ever used and no additives are ever added. Since it is so unrefined, the company states that their brand contains all 84 elements that are found in sea water that are beneficial to our health. Himalayan salt is mined in the Punjab Region of Pakistan. Also known as "pink gold", many claim that this salt is the purest on earth because it dates back to when the earth was first created. Is this true? I have heard stories defending both sides. But as long as the salt is not processed and is left pure it will be good. Because pure unrefined salts contain trace minerals and elements that are beneficial, and the best part is that our bodies only need small amounts of them to get the health benefits. We know the benefits of unprocessed salt are healthier and more plentiful than any processed salt. Avoid table salt and choose sea salts that come as close to their natural state as possible. At first we were skeptical about the benefits of sea salt, so we put it to the test to see if we felt any different. Three of us in the family took part and between us here are the positives we experienced. During this "no table salt challenge" we ate 75 % raw fruits and vegetables. The reason is that foods that are processed or packaged will contain regular table salt. 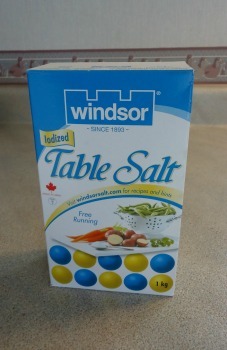 So to decrease the amount of table salt we had to eat mainly raw and unprocessed foods. 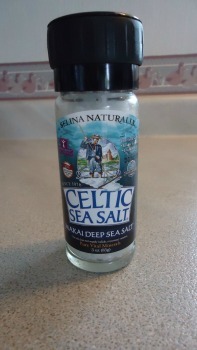 When it came time to steam, boil, bake, grill and prepare any foods we also used sea salt to prepare them. 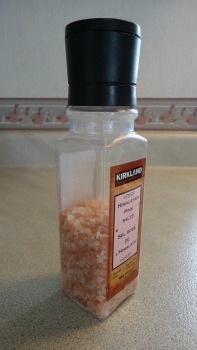 There are some reasonable priced, unprocessed sea salts that can also be purchased for cooking purposes. (Not all seas salts have to be really expensive to enjoy the benefits). So if you feel up to the challenge, give it a try, and see if you and your family members feel better.